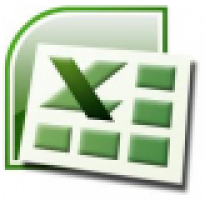 Deze bijdrage bevat een heel uitgebreide basiscursus van MS Excel 2007. David Kingsbury, the former chief program officer for science at the Gordon and Betty Moore Foundation, explains why that organization chose to help support the innovative work of Alex Szalay, the Alumni Centennial Professor of Astronomy and a professor of computer science at Johns Hopkins University. In concert with his work on the Sloan Digital Sky Survey, Szalay is a pioneer in the development of data-intensive science including the productive use of very large datasets. The first half of this two-part episode features a closer look at some interesting research in the Biology department at McMaster. Including an in-depth interview with Dr. Robin Cameron and various biology graduate students.